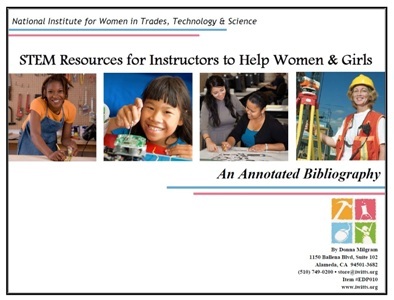 Our Proven Practices Collection brings educators a research-based blueprint for recruiting and retaining women and girls in the technology classroom. You'll find over a hundred journal articles and proven practice case studies. Use these proven strategies to recruit women to technology. Click here to start browsing through the articles, papers, podcasts, and webinars on recruitment proven practices. Learn the reasons why women drop out of technology programs and practical solutions for retaining them in the science classroom. Use these proven strategies to recruit and retain women to STEM careers and companies. Click here to read proven practices from industry. See our archive of IWITTS webinars that will help you increase the number of female students in your STEM classrooms. Make science colorful & fun for girls, by girls! Instant access to online role model resources in all career pathways. "I love SciGirls! It's a blast and we do so many awesome projects. We got to build hovercrafts and see one in the lake. And we are doing robots, making them spin!